Warrior Xtreme Cagefighting is proud to announce our next event, WXC 73: Relentless. 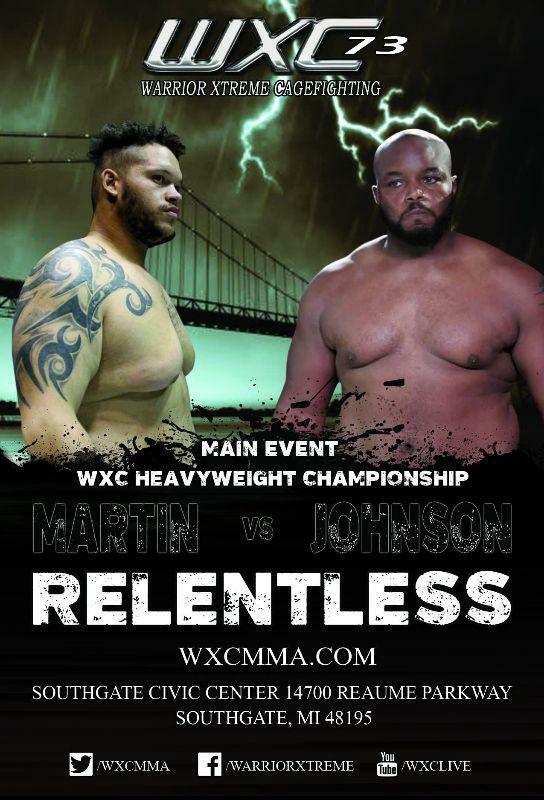 The main event of the evening has our Heavyweight title up for grabs as Leroy Johnson takes on Brett Martin. Two will enter the WXC steel but only one will exit with gold around their waist. On Friday August 3rd, 2018 we return to the Southgate Civic Center in Southgate, MI. Doors open at 6pm with the fights starting at 7pm for another high flying night of MMA, WXC style!